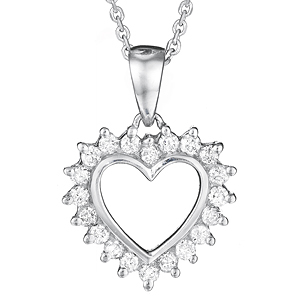 Precious diamonds seem to dance around a heart of gold in this inspired design. 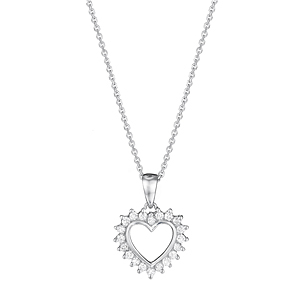 The round-cut diamonds offer the perfect complement to the smooth lines of the cutout heart. 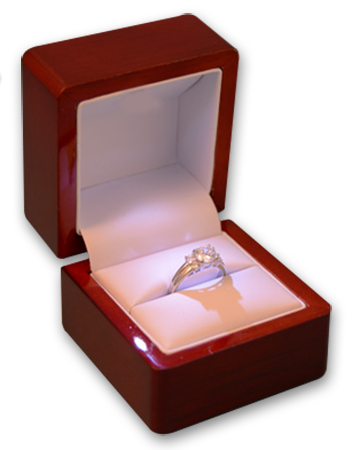 This pendant is sure to capture her heart!